Brrrr.. It’s turned very cold this week as winter starts to bite. There are still crops to be had in the vegetable garden but they need lifting, either to be eaten straight away or to be preserved. 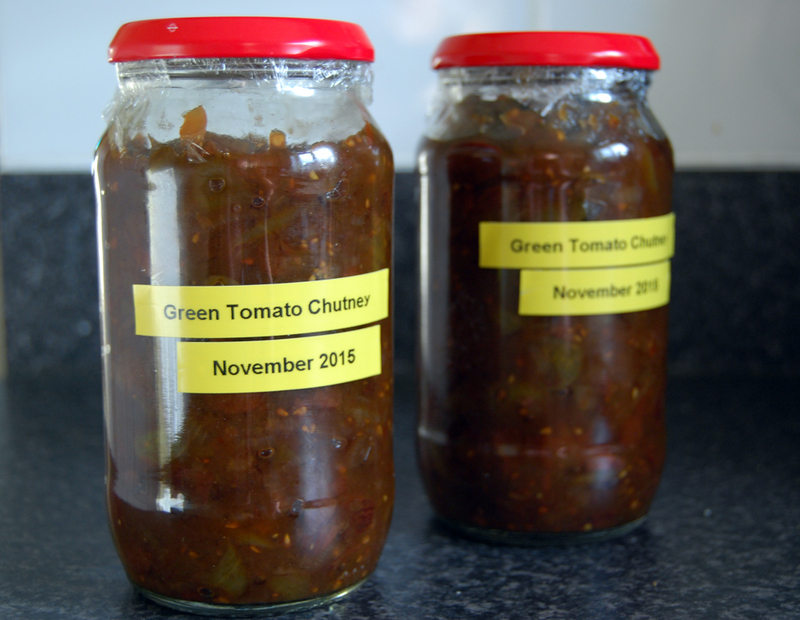 Like many other people, I turned the last tomatoes which steadfastly refused to turn red into a green tomato chutney, mixed with chopped onions, sultanas, sugar, vinegar, salt and pepper. Cooked down it’s a nice thick mix and ready to eat straight away. 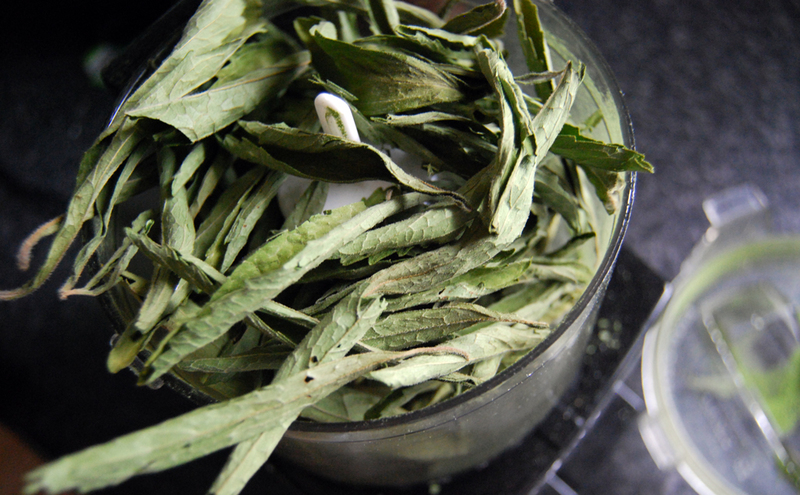 .I’ve had bunches of stevia leaves hanging up to dry for a few weeks and saw today that they were fully dehydrated. 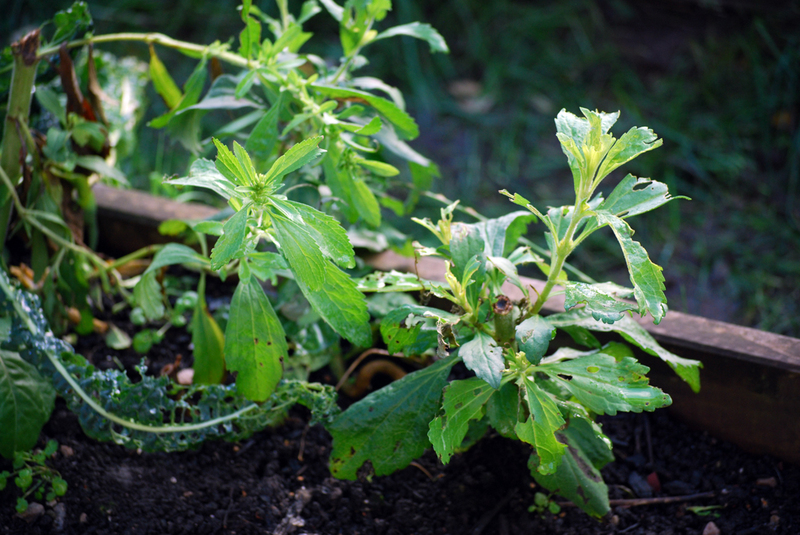 Stevia is the increasingly popular leaf that can be used as a sugar substitute. 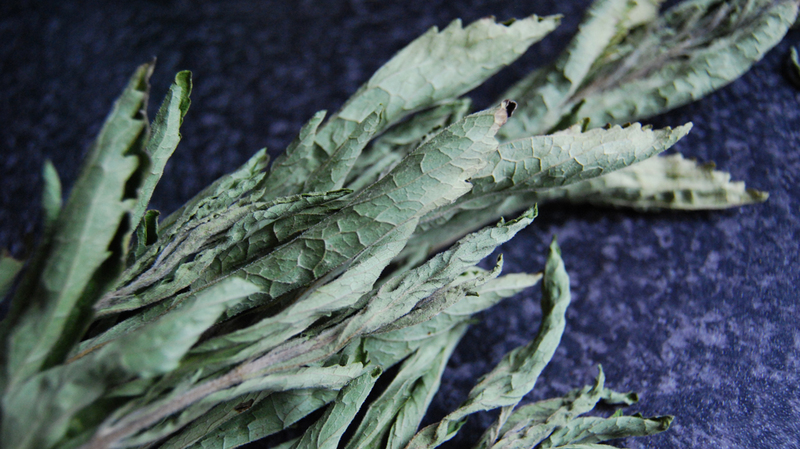 Having grown a few plants this summer I’m now trying to convert the leaves into usable sweetener products. Sweet water worked well, but today was all about turning the leaves into powder. 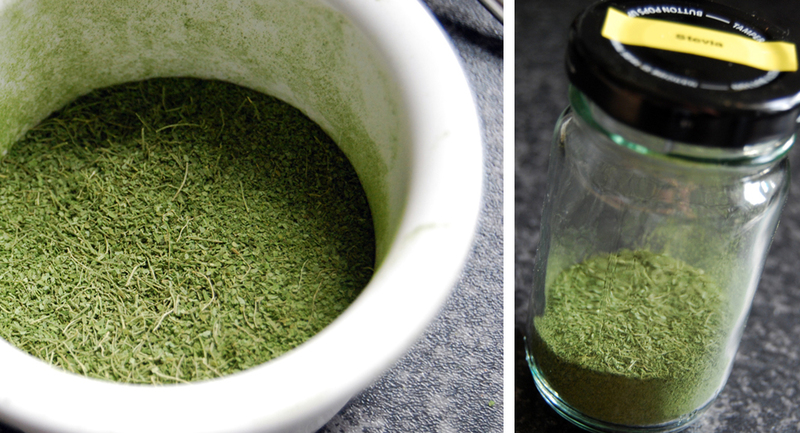 Trying as much as possible to keep out any twiggy bits, I fed the dry leaves into the mini blender. 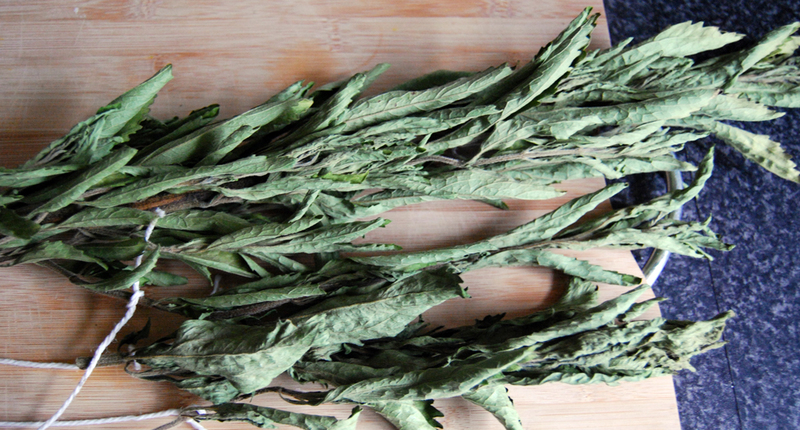 They took a lot of blitzing as there are inevitably stringy fibrous bits, particularly the veins of the leaves. It was necessary to push the mixture through a fine sieve to filter some of the roughage out. 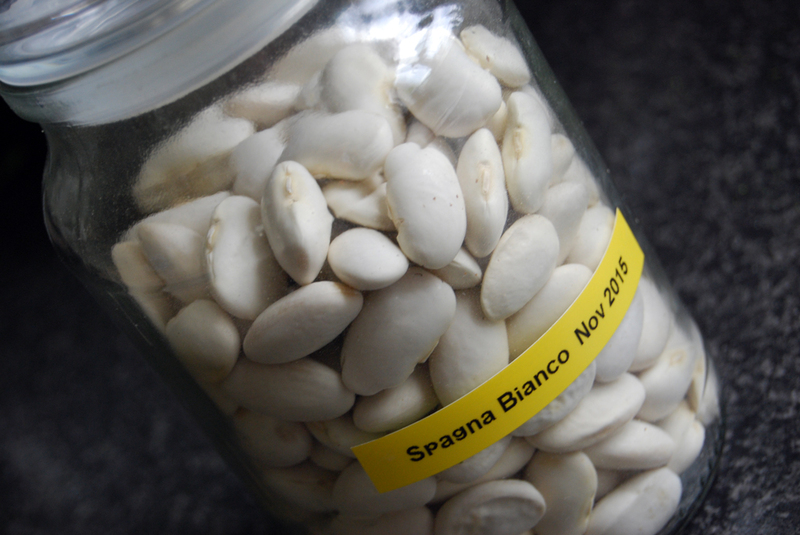 Also fully dried were the saved Spagna Bianco beans. 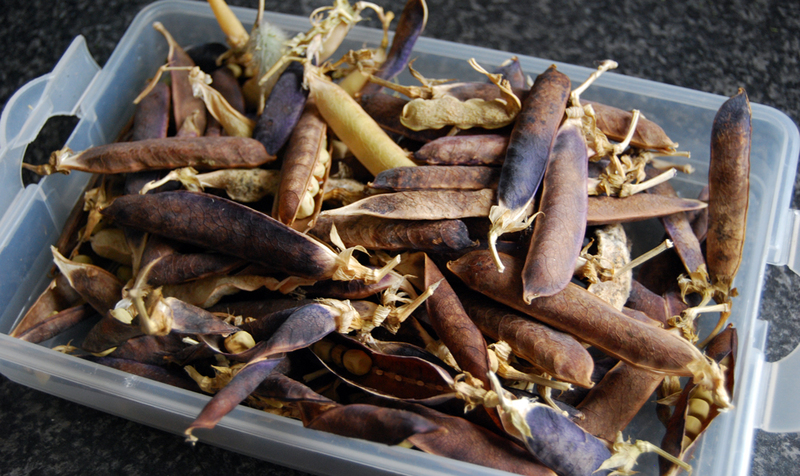 Taking them out of the pods is quick and easy and after discarding any imperfect ones I was left with a jar full of beautiful white pods. 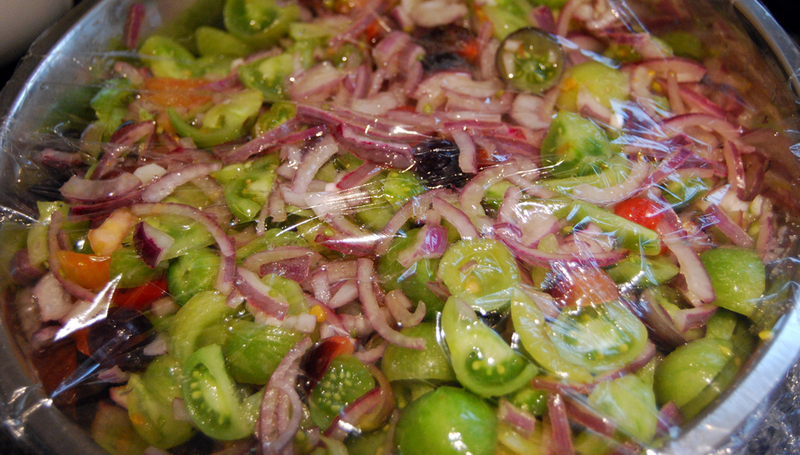 These can keep for ages and an overnight soak is all that’s needed to have them ready for cooking. 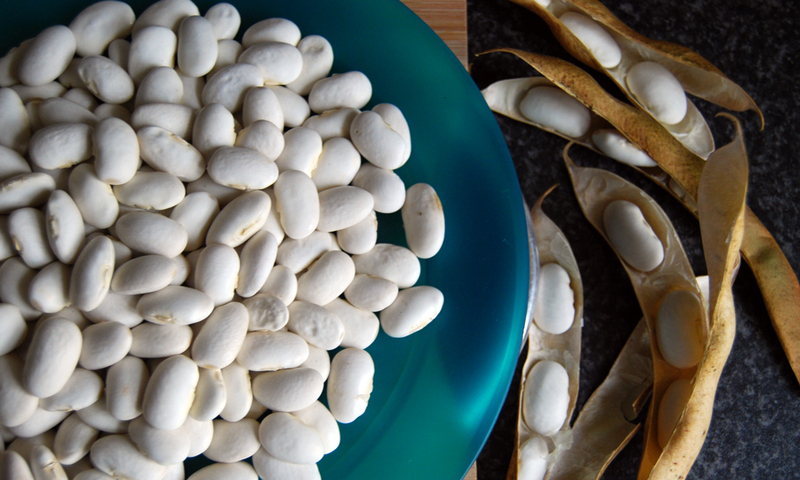 And if you can resist eating them all you can sow them in soil and grow more plants, which is exactly how I grew this year’s crop: by using some of last year’s beans. I’ll likely do the same with the saved pea pods. There are several varieties here: Kelvedon Wonder, Douce Provence and the attractive purple Blauwschokker. 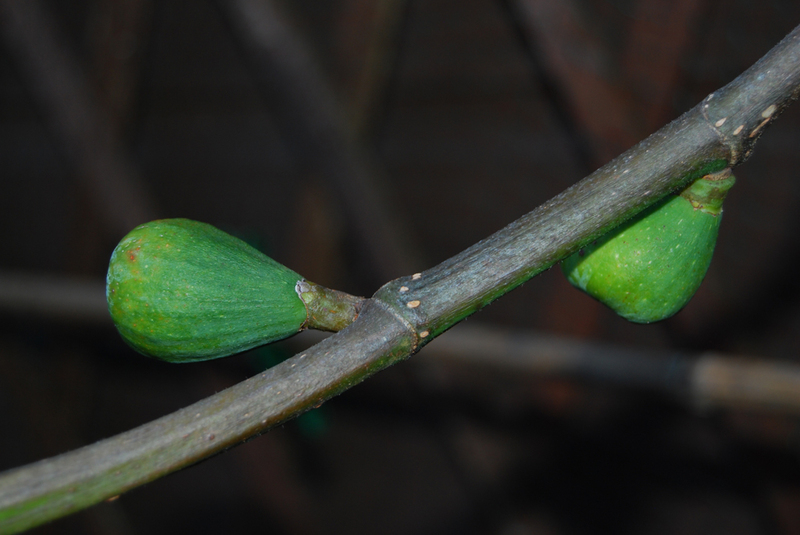 Back outside, one puzzling thing going on at the moment is some new growth on the fig tree. There are six or seven small figs growing, which seems unusual as they’re very much a summer plant, which goes pretty dormant in winter. If I was expecting to do anything with the fig tree at this time of year it would be pruning it. Perhaps that’s the right course of action and these stray fruits will come off in the process. 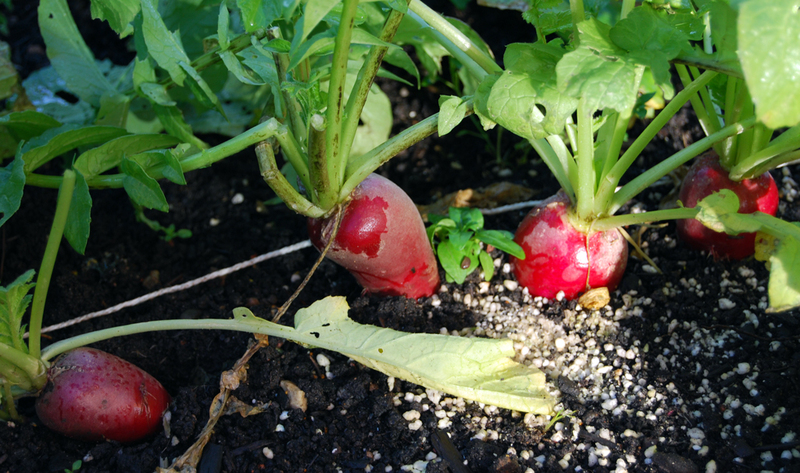 Nearby there are late radishes ready for picking. 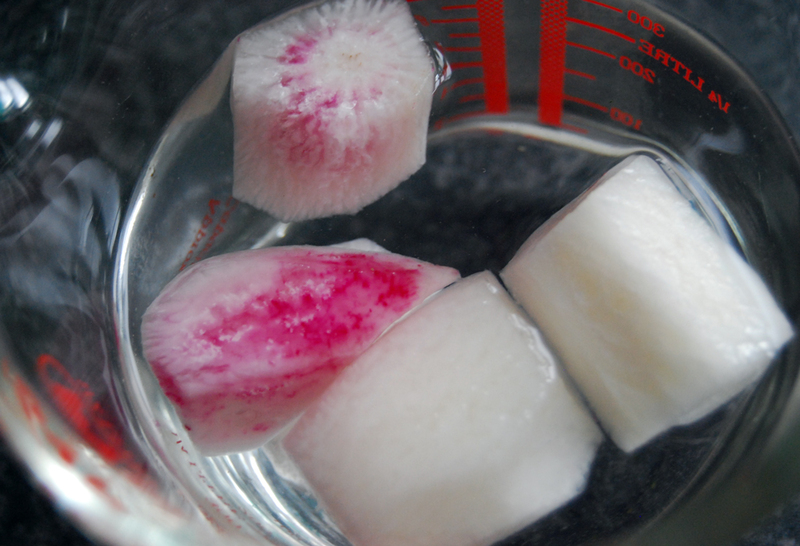 I lifted a few today and after slicing them into chunks and covering them in cold water noticed that some had the scarlet colour of the skin actually running through the flesh, in a mottled pattern. I’d not seen that before and thought it looked very attractive.